No need to spend money on new hardware, all it needs is a simple face lift. This simple tutorials on how to Paint Hardware will have you running through the house looking for more metal to paint. Or maybe that is just me. I love simple trash to treasure transformations. 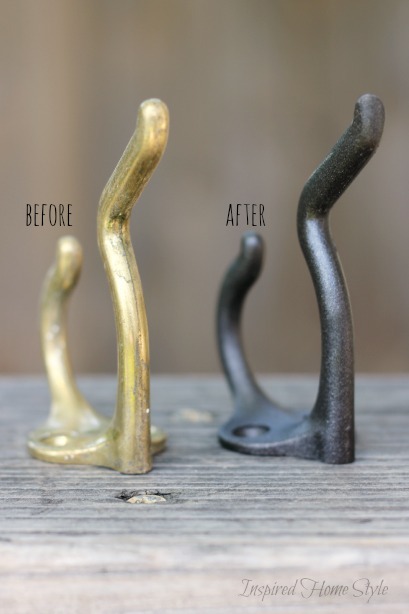 Rethink your existing knobs, locks, and hinges and use metal spray paint for a quick update that is friendly on your wallet and your time. Metal spray paint ~ My absolute favorite is Rust-Oleum Oil Rubbed Bronze. Seriously this stuff is AMAZING! Do you remember when I used it to up date a discarded wooden box? Its still one of my favorite projects! 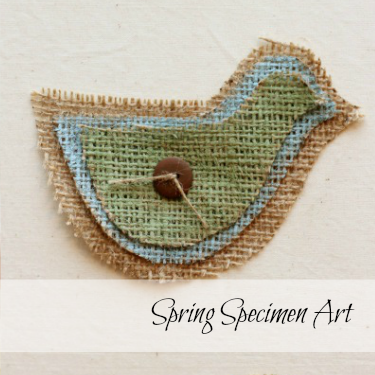 I salvaged a number of vintage coat hooks. They are super strong, but in need of a face lift. If you look closely they are no longer shiny, just all rusted and neglected. Nothing a little spray paint cant fix! I have also painted metal with a simple dry brush technique, but that works best on decorative items. Clean the hardware with steel wool or high grit (200+) sandpaper to rough up the surface. 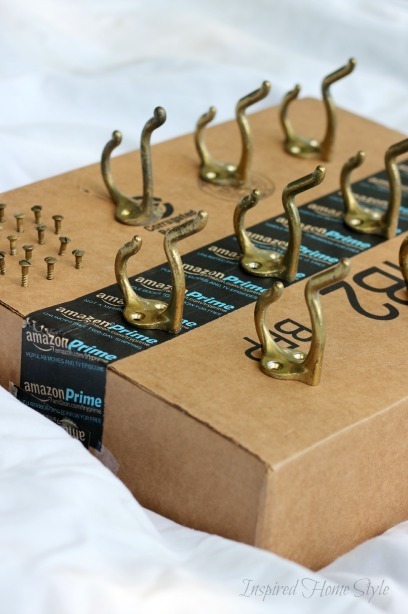 Place the hardware on a box in a well ventilated area. Outside is always best! Poke the screws into the box making it easy to spray them as well (pictured above). Apply one thin and even coat of high quality spray primer meant for metal. Let dry. 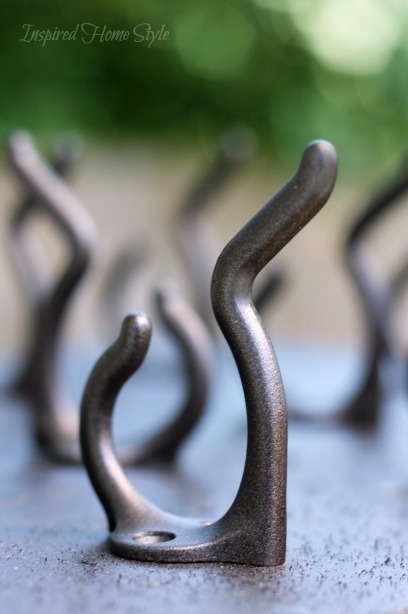 Apply two to three thin and even coats of high quality spray paint meant for metal. 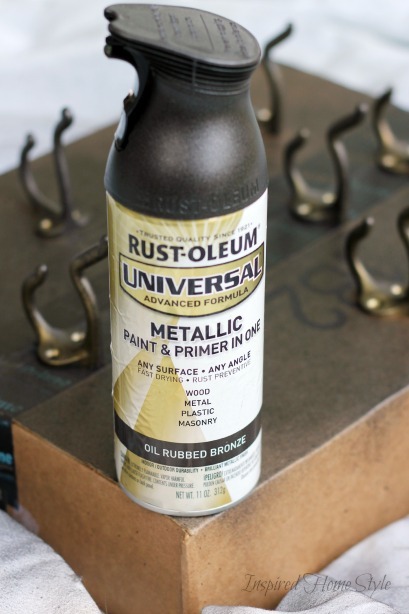 My favorite is Rust-oleum Universal Metallic Paint & Primer in one Oil-Rubbed Bronze. Let dry. Now your ready to install your new painted hardware. Remember lots of THIN and EVEN coats are best! I need to install a few of my new hooks under the sink next to my rubber gloves. 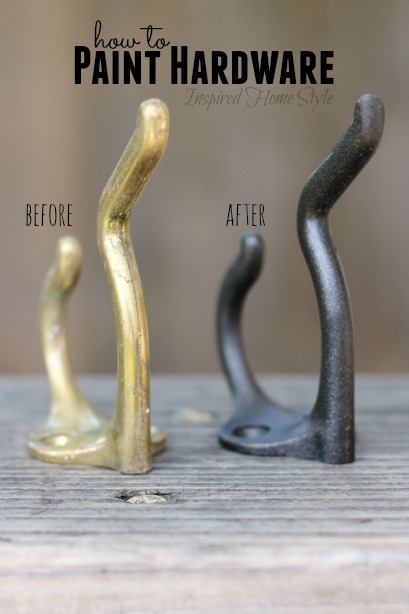 TIPS TO REMEMBER WHEN SPRAY PAINTING METAL WITH METALLIC PAINT. Sand the surface before painting. A very fine grit sandpaper or steel wool works best. Use one THIN coat of metal primer for ensured adhesion. Let dry. Shake the can for a few minutes before applying and shake as you spray. You may be tempted to spray quickly and heavily but remember…lots of THIN coats are always best! Optional: You can protect the paint after it is dry with a light coat of clear protective finish. 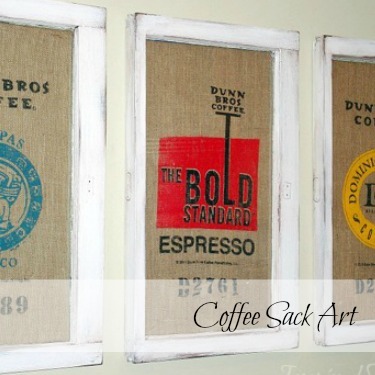 Most spray paint brands have stain and glossy finishes. I often skip this step and have not had a problem with chipping or wearing. Don’t mess with wet paint! Don’t move or touch until the hardware is completely dry. 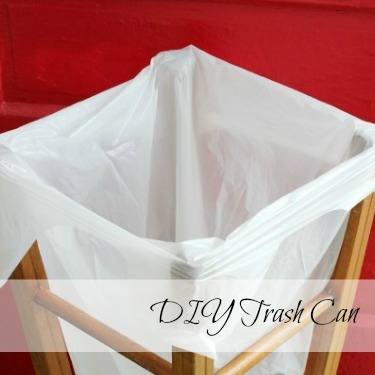 This entry was tagged Inspiration and Ideas, Organizing, Tip and Tricks, Trash to Treasure.